It was with an extremely heavy heart that we recently learned our friend and former colleague James Dolan—one of the co-creators of SecureDrop and Freedom of the Press Foundation’s first full time employee—took his own life over the holidays. He was 36. He was our first full-time employee at Freedom of the Press Foundation, and quickly set out to teach other developers, contributors, and anyone interested in how the system worked. He poured his heart and soul into the work, traveling to newsrooms around North America to teach IT staffs and journalists in person how to install and use SecureDrop. He completely reworked the installation process, he pushed us to get independent security audits of the system, and he helped us hire the initial team that would take over SecureDrop once he was gone. 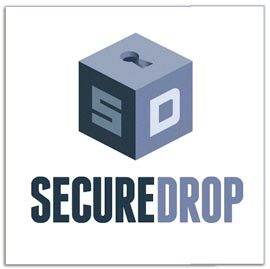 James’s encyclopedic knowledge of computer and network security was a key reason why newsrooms were comfortable adopting SecureDrop when it was still seen as something relatively new and unknown. James left FPF in August of 2015 after he felt the project was in a place where it could survive without him. Ever since, he had been working on the security team at Classy, a crowdfunding site for non-profit organizations located in San Diego. We don’t know why James took his own life; we do know, however, he long suffered from PTSD from his time serving in the Marines during the Iraq War. It was an experience that affected him in multiple ways. He often cited the Iraq War as his inspiration for wanting to help journalists and whistleblowers; it made him realize governments needed to be much more transparent and accountable. Memorial services have not yet been finalized, but if you knew James personally, please feel free to reach out to us through our contact form, and we are happy to keep you informed of anything we learn. Finally, if you suffer from depression or PTSD and are considering harming yourself, please reach out to Suicide Prevention Lifeline. Some of our best and brightest minds have suffered in silence, and sometimes keep loved ones in the dark. Please know that you are not alone. It is impossible to overstate how fundamentally important James Dolan was to the development of both Freedom of the Press Foundation and SecureDrop. We are heartbroken he is gone, but we are also eternally grateful to have known and worked with him.